Earnings Outlook: Twitter earnings: Will another strong start to the year squelch user-growth fears? As soon as you enter Destin via Fort Walton Beach, you are greeted with a large sign that reads “World’s Luckiest Fishing Village.” While the name was coined by Governor Leroy Collins after he successfully caught a nineteen pound king mackerel in only fifteen minutes of being on the water, there still is more truth behind the title. Many charter boats leave the HarborWalk Village’s docks and very rarely do they come back in without a single fish to show for their voyage. 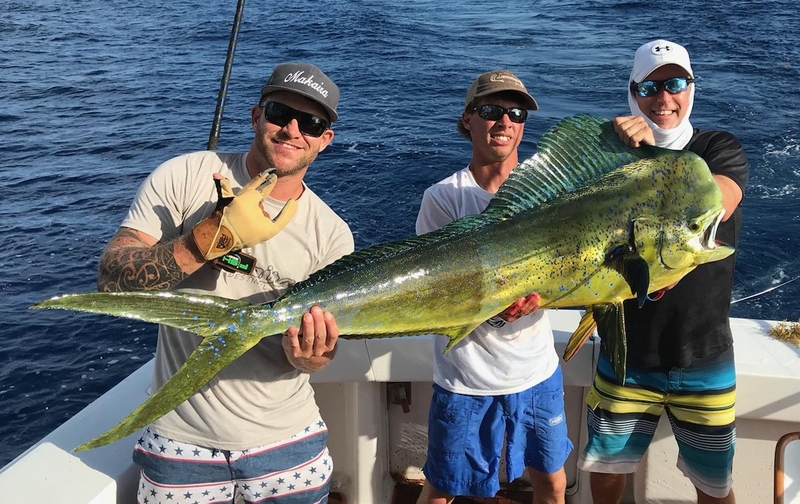 Aside from being a usual recreation fishing spot, Destin sees some of the most skilled and talented anglers from all around step up to the challenge of fishing competitively in a tournament. While there are many tournaments held all year round, two are seen as the most important in Destin. These two highly important tournaments are the Destin Fishing Rodeo and the Emerald Coast Billfish Classic. The Destin Fishing Rodeo takes place throughout the entire month of October, and the Emerald Coast Billfish Classic takes place while Summer is in full swing, typically at the end of June or the beginning of July. There are many events in both tournaments, which helps encourage more anglers to join to try and win certain categories or events during a tournament. While the Emerald Coast Billfish Classic is interested in the heaviest Blue Marlin caught during the tournament, there is also prizes for top tuna, top dolphin, and top wahoo. The Destin Fishing Rodeo is coming in a couple months, however, the Emerald Coast Billfish Classic just came to a close. Fish that won prizes for the anglers that brought them in weighed anywhere from 23.9 pounds all the way up to 699.2 pounds. There’s two ways to enjoy fishing: recreationally and competitively. Competitively fishing may reap some nice rewards, but can often be stressful and tiring. Sometimes it’s better to fish recreationally, where you throw your line in the water and kick back, releasing stress and feeling like you have all the time in the world. The White Sands Vacation Home Charter won third place in an event during this past Emerald Coast Billfish Classic. This shows that the charter recognizes both styles of fishing: recreational fishing for the anglers looking for a relaxing day with their lines in the water; or competitively, when a big catch and a prize is on the line. Book your next vacation with White Sands Vacation Homes and see how the White Sands Luxury charter can get you out on the water, whether it is for recreational fishing or competitive fishing. The Emerald Coast Gazette provides news from NWFL, Destin, 30A, Santa Rosa Beach, Seaside, Seagrove, Miramar Beach, Inlet Beach, Ft Walton, Niceville and the surrounding area. We also provide aggregated National News, Entertainment and Sports News that is updated several times a day. You can submit local news stories and press releases to [email protected] to have them featured in the Emerald Coast Gazette News Paper.